In their forthcoming book, Little Minnesota in World War II, historians Jill Johnson and Deane Johnson share the heroism and history of Little Minnesota’s lost sons by recounting their service through their letters home, sharing family photos, and even by interviewing surviving relatives. This exhaustively researched book tells the story of 140 men who gave their lives for their country in some of the most famed battles of the war—including Pearl Harbor, Guadalcanal, D-Day, the Battle of the Bulge, and the Rhineland Campaign. 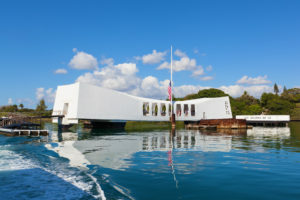 During the course of World War II, 17,867,000 men and women served in the U.S. Armed Forces; according to the National World War II Museum, 407,316 didn’t survive the war. No state was left unscathed. Even the tiniest towns in Minnesota, with populations in the hundreds, suffered casualties. 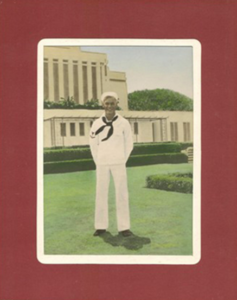 Get to know your hometown heroes through this firsthand history of World War II. Along the way, you’ll meet members of the Greatest Generation who never made it home. On December 8, 1941, Carl Emery answered the farmhouse telephone in Perley, Minnesota, population 246, to hear what the family feared most: His 23-year-old son John Emery, known as Jack, was missing and presumed dead following the Japanese attack on Pearl Harbor the day before. One bomb struck the forecastle. Another exploded on a faceplate on No. 4 turret aft. Still another ripped through the bridge and detonated on the boat deck. And then it was that one of the attacking Japanese pilots realized the dive-bomber’s dream. His bomb dropped exactly into the Arizona’s stack, exploding in the boilers and setting off the vast amount of powder stored in the forward magazine. The ship’s bow seemed to leap out of the water, and her weather decks cracked open as fire and debris shot skyward. Plumes of oil and water showered topside, and fires enveloped the forward part of the ship. 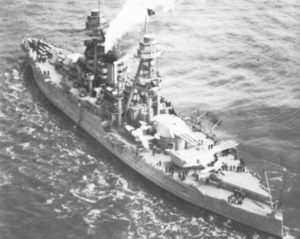 The fate of the Arizona, a 32,600-ton battleship within less than nine months of being declared over-age, was sealed in the first five minutes of the attack. The magazine blast broke the ship’s back and she rapidly settled in the water. All told, the Arizona lost 47 officers and 1,057 men. Some hundred of the bodies were never removed from the sunken hulk of the ship. Only 335 men survived the attack; some were lucky enough to be on shore for duty or liberty, while others escaped the burning inferno. Among the 1177 crewmen killed were all 21 members of the Arizona band. Arizona’s musicians took their stations in the ammunition hold several decks below to pass ammunition to the deck and lost their lives when the ammunition magazine exploded. The United States lost a total of 2,344 men; 300 fighter planes and 14 warships were damaged or destroyed. Congress declared war on Japan just 27 hours after the attack. John Marvin Emery is memorialized on the Courts of the Missing, Honolulu Memorial, Hawaii, at the USS Arizona Memorial, and at Nora Lutheran Church Cemetery in Gardner, North Dakota. Over the years, many men who survived the sinking of the Arizona have chosen to have their ashes interred within the wreck. In a military ceremony, U.S. Navy divers swim with the urn for placement inside gun turret No. 4. where they are reunited with their comrades who died at Pearl Harbor. Jack Emery was survived by his parents and five siblings. You can pre-order Little Minnesota in World War II: The Stories Behind 140 Fallen Heroes from Minnesota’s Littlest Towns here. Thank you for your post, Liliane! Well done. You are very welcome. We are all very excited about this wonderful book. Feel free to share the post.